The Southwest Michigan Mosquito Squad sprays a home in Kalamazoo. The wetter the summer, the more mosquitos you’re likely to find outside. In hot, dry summers, like the summer we are having now, there are fewer mosquitoes. But the mosquitos that are around pose a greater threat. That’s because West Nile virus spreads more easily in warm weather. This summer Michigan State University has predicted an outbreak of West Nile in Michigan. 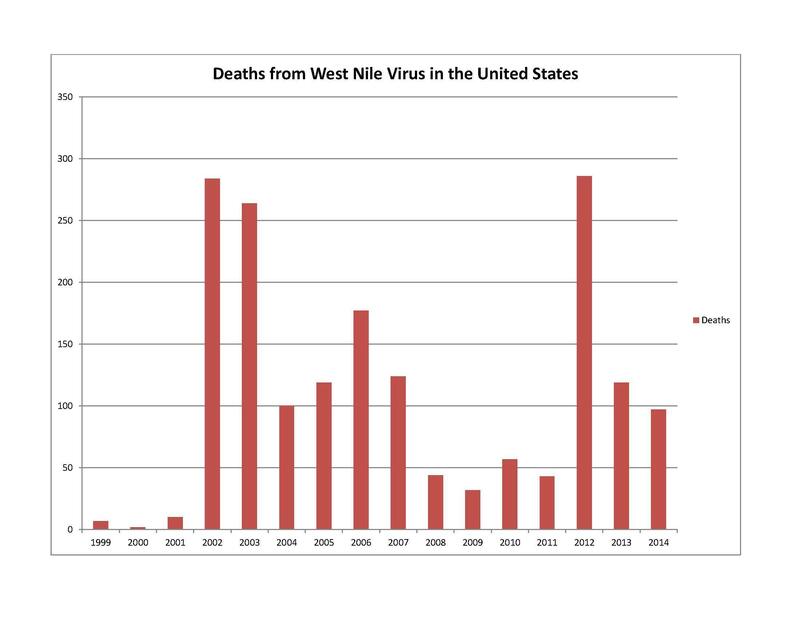 For Stateside, Rebecca Thiele reports on this year's predicted West Nile outbreak. Ken Wuerfel is co-owner of the pest control company Mosquito Squad. Wuerfel says he doesn’t usually get as many calls when it’s a hot, dry summer like this one. There aren’t as many mosquitoes out there. But while some species of mosquitoes suffer in the heat, the one that carries West Nile virus thrives. It’s a hardy little mosquito called Culex pipiens and it likes urban areas with standing water. Wuerfel says they breed in everything from large retention ponds to the smallest pooling water you can find. “If you have a water bottle and you take the cap and give it a toss and it happens to land cup side up, that little bottle cap a mosquito could - if it filled with water - lay a raft of 300 eggs,” says Wuerfel. It’s not just the army of Culex mosquitoes that makes summers like this bad for West Nile. Ned Walker researches mosquito-borne diseases at Michigan State University. He says the hot weather also helps the virus spread. "Mosquitos are animals. They’re cold blooded, and so the warmer it is, the faster things happen," says Walker. "And mosquitos get the virus infection by feeding on infected birds and then once a mosquito has gotten a blood meal from an infected bird, the virus has to grow inside the body of the mosquito. And it grows faster when it’s warmer." Because the Culex mosquito likes urban areas, you're safer in the woods than you are in the city. Every year Walker’s team at MSU tries to predict West Nile outbreaks based on weather patterns. He says this season closely resembles the summer of 2012. 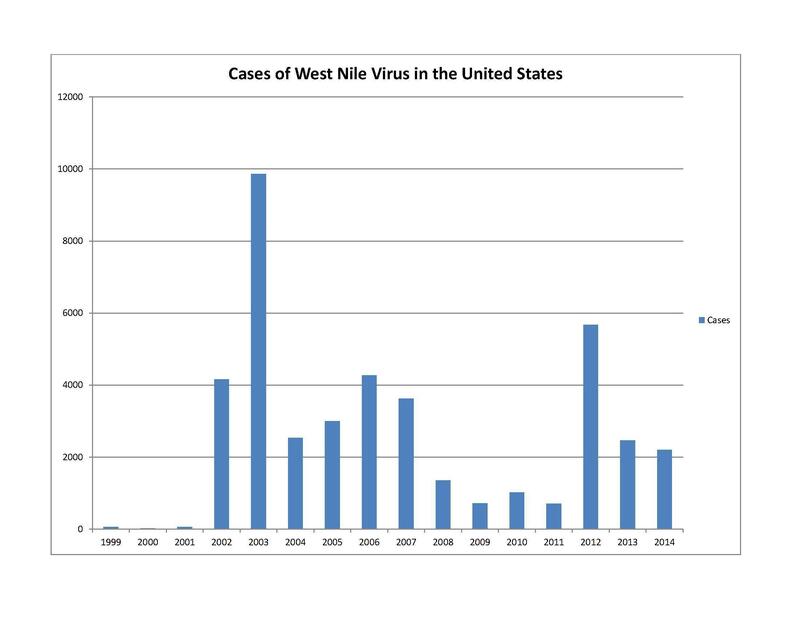 That year we saw the most deaths from West Nile in U.S. history. Out of more than 5,000 cases, roughly 280 people died. “It’s very good at sneaking into houses. For example, it’s common for people to leave a back door propped open if they’re say barbecuing on a back deck and they’ll leave the door open. Or if they want their dog to be able to run in and out they’ll just leave a door open or maybe open a window. Or perhaps the screens aren’t repaired properly and there’s holes in screens. Things like that that allow those mosquitoes to come in doors,” says Walker. Walker says they also bite very late at night. “So it’s not the typical time people put on repellant. For example, I don’t know anyone who puts on mosquito repellant right before they go to bed,” he says. So how do you fight such a stealthy, tough mosquito? Walker says the best way is through community-wide control. “You can’t dump out an abandoned swimming pool and you can’t empty out thousands of street catch basins, but you can treat them. And there are communities that have adopted programs like this,” he says. 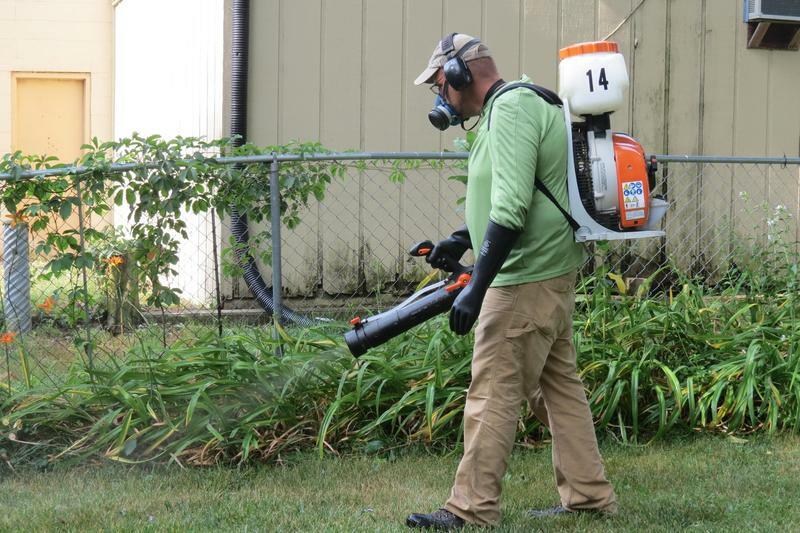 According to the Michigan Mosquito Control Association, only Bay, Midland, Saginaw, and Tuscola counties, and about 10 townships, have treatment programs. Tom Putt of the association says there used to be a lot more 10 years ago, but cities and towns don’t have the money for that anymore. Ned Walker says the few municipalities that have mosquito programs are often the only ones that send MSU mosquitoes for testing. Walker says even high risk areas like Grand Rapids and Detroit don’t report. “Unfortunately without good surveillance, we can’t make strong statements about the risk, but we do have this forecast model and that’s been reliable so far,” he says. Dump out any standing water in your yard, clean your gutters, and get rid of yard waste that could hold water. Ken Wuerfel of the Mosquito Squad says there are some things you can do to keep Culex mosquitoes from breeding. Dump out any standing water in your yard, clean your gutters, and get rid of yard waste that could hold water. There are more tips from Mosquito Squad here. Blue jays and crows are often susceptible to the disease. So if you see a freshly dead crow or blue jay in your yard, call the Michigan Department of Natural Resources' Wildlife Disease Lab at 517-336-5030. Fortunately, according to the Centers for Disease Control, 70 to 80% of people who contract the virus don’t have any symptoms. *Rebecca Thiele is a reporter for WMUK. She tweets @beckythiele.